@JAYHAWKFAN214 Could you interpret that? It makes no sense what you wrote. I donated 6 games from my home cable system for the good of the program what are you willing to donate? I am too old for the sports bars. Can I come to your house to watch? He said he wasn’t affected by his dad being at the game. We’ll see about that… he certainly seemed like a man possessed. If he doesn’t always hustle like that we’ll have to find a way to keep his dad in the USA this season! I thought a few of his moves last night created the best highlights. You just don’t see big men who can move their feet like that… heck… you don’t find 6-footers who can do some of those moves! I wish we could hold him here for 4 years. We don’t have many lions to conquer here… but we have Wildcats! (and Sooners, Cowboys, Longhorns…) Bet he’s never killed a longhorn before! While we are down in Texas we should take him to a longhorn ranch and take some photos of him wrestling a longhorn to show his friends back home. He can start a new legendary story. Hey Ralster… I should have worded my post differently. After your post I went back and read it again. It sounds a bit like I’m bagging on EJ. I’m an EJ fan, too… mostly because he made the ultimate sacrifice of playing out of his position for the good of the team. It didn’t prove to help us, but I don’t blame him for that. He didn’t have the right skill set to be a PG. He should have always stayed a 2. I should have stated that if CS wants to recruit guards that can play at both the 1 and the 2, make sure the guards have the skills required to play the 1. It doesn’t work the other way around. You have to have a guard who protects the rock well, both by dribble and pass… someone who can see the defense and take advantage of what it is given… be able and willing to penetrate… control tempo… find the gaps… etc etc. I guess Mason was a 2 in HS… but he’s a natural PG. With just a few games under his belt, we can see that he has so much to offer at point. He’s a x-axis player… low to the ground, lots of lateral movement and looking for spacing advantages. I don’t think these gifts are easy to teach players, because we certainly don’t see many using these skills. It always seems tougher to develop x-axis skills for bigger guards. Maybe because they have always played looking for a vertical game… their size helps them in some ways, but they don’t develop the bulldog tenacity some of the little guards have… who will find gaps, and if they don’t see one maybe they create one! Tharpe is the perfect example of a PG who can play the 2. We can count on seeing him score some minutes at the 2 this year. I know its early but I checked out every RPI ranking I could find today and KU is in the top 10 of every one of them. I noticed that KU is also the only AP and Coaches poll top 10 in the top 10 of every RPI list. To me it means Selfs young team is playing well early even if it doesnt seem like it. I know everyone is saying (myself included) that they have a lot of room for improvement but since everyone else is playing equally as bad I think I like where we are at this early in the year. @Kip. Coach w/consonants is on year round. I checked Sirius programming this am and did not see Hawk Talk. I will, however, tune in tomorrow to see if we get lucky. Pepsi Challenge: It's all about the Taste! You keep bumping up this site! ESPN: UNC loses to Belmont at home. UNC was severely hampered without Hariston and McDonald. Think of us playing, in any recent years, missing 2 of our best players. You would think they still should have beaten Belmont, though. @farsidehawk if you hit the quote button on the left side ofthe reply button it does this quoting of the original. Is this meeting the need you’re indicating? Interesting feature that I hadn’t noticed yet. Thanks for pointing out the workings of this evolving site to keep us in the loop aprox! 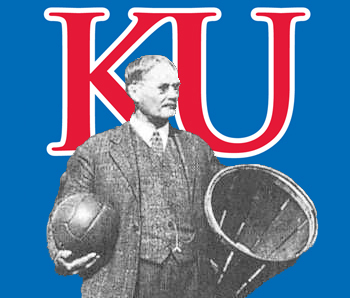 Jay William predicts that KU will crush Duke down low. @konkeyDong Here’s an ESPN article about Cliff dodging the question about potentially going elsewhere. I’d prefer to give the kid the benefit of the doubt and assume he doesn’t like to be pushed into making an absolute statement, because it’s always true that anything could happen between now and next Fall. What I do wonder though, is to how Self’s staff manages expectations of the recruits once they are signed. How much work does it involve, and how is that work divided up by the staff? Anyone have any insight into this? Bleacher Report: Perry Ellis the other superstar! @Case I’m tipping my hat to you, Case, for posting this insightful article on Bleacher Report. I felt a little sorry for Perry last year and I’m happy to see him getting paid back with some recognition this year. It is a commentary on the state of OAD basketball that a sophomore is now considered a grizzled veteran. I’m a little saddened by that. PHOF: What does it mean? What does it stand for? @globaljaybird…roflmao…I’ll have to remember that one. (still chuckling) wonder how many noses got cleaned out if people had just taken a drink. I know everyone here thinks Embiid needs to see more minutes. I agree but I also agree that Self had Black come to KU for a reason. What would the rest of the team think of Self if he benched Black? All of these transfer worries everyone keeps pondering would probably start to happen. I think if Embiid stays for another year that would be good but if not Hunter did set a shot blocking record for most blocks from a freshman in a year. Recruiting is not over and with the ammount of tallent that will come in next year and the returning players I am sure Self can mannage to win another couple of games. He is pretty consistant dont ya know? Congratulations on the birth of you grandaughter. I can’t wait until the holidays this year!